Mission: Center for Diversity & Intercultural Affairs (CDIA) at Sam Houston State University enhances the academic and personal growth of all students through support and encouraging our Bearkat family to embrace the cultures of others and the diversity that surrounds us (such as but not limited to culture, race, gender, sexual orientation, religion, physical abilities). CDIA constantly strives to create an inclusive campus environment in which all students, staff and faculty feel welcomed and appreciated. It is an institutional goal at Sam Houston State University to Promote and support diversity and provide equitable opportunities for underrepresented groups. CDIA is committed to achieving this goal. Vision: Center for Diversity & Intercultural Affairs at Sam Houston State University seeks to strengthen and enrich the Bearkat community through educational programming, vast cultural experiences and support for traditionally underrepresented populations. 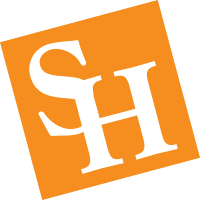 Access: Providing services, resources and unique programming for traditionally underrepresented populations at Sam Houston State University. Holistic Education: Educate students to understand what diversity truly means and give students the knowledge and training required to promote social justice in all areas of diversity including culture, race, gender, sexual orientation, religion, physical ability, etc. Support: Encourage an appreciation for and celebration of diversity in all of its unique forms.